Police arrested David A. Green, a suspect in a shooting last week in Greenville, following a six-hour standoff. GREENVILLE – Shooting suspect David A. 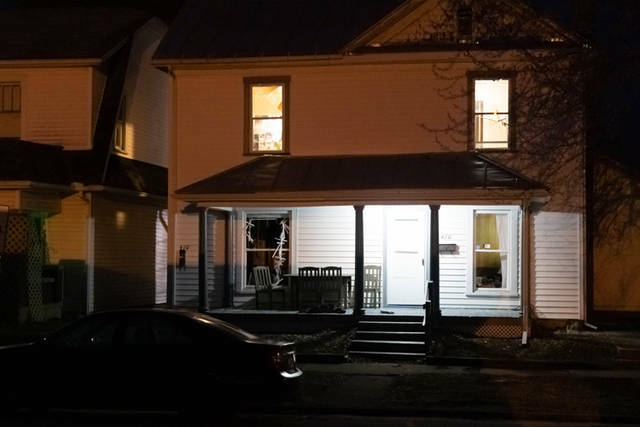 Green was arrested early Thursday morning along with two other people after a six-hour standoff with local police. 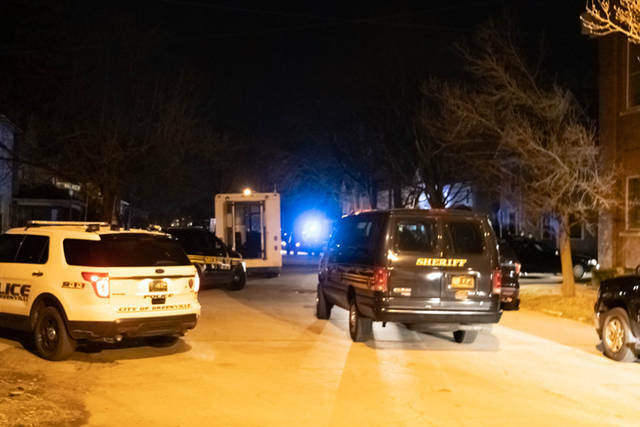 The 50-year-old Green, wanted in connection to a March 21 shooting of a 25-year-old Richmond, Indiana, man, was considered armed and dangerous. 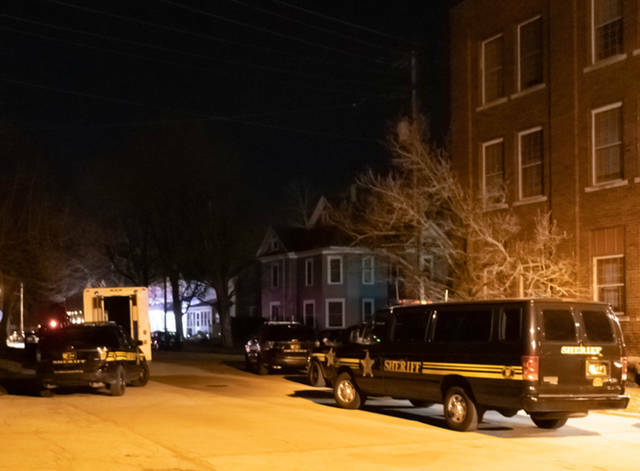 According to the Darke County Sheriff’s Department’s Chief Deputy Mark Whittaker, the Darke County Sheriff’s Department’s Emergency Response Team along with the Miami County Sheriff’s Department Emergency Response Team were requested by the Greenville Police Department to the 400 block of Central Avenue to assist with serving both an arrest and search warrant on the suspect thought to be at the residence. 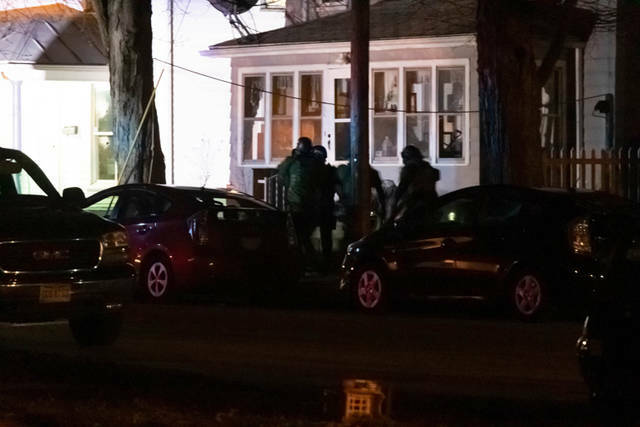 Throughout the standoff at 410 Central Ave., the same residence where the March 21 shooting occurred, officers were forced to deploy such tactics as the use of tear gas to aid in the safe removal of the suspect. The suspect was apprehended at approximately 6:15 a.m. with no injuries to himself or any responding officers. 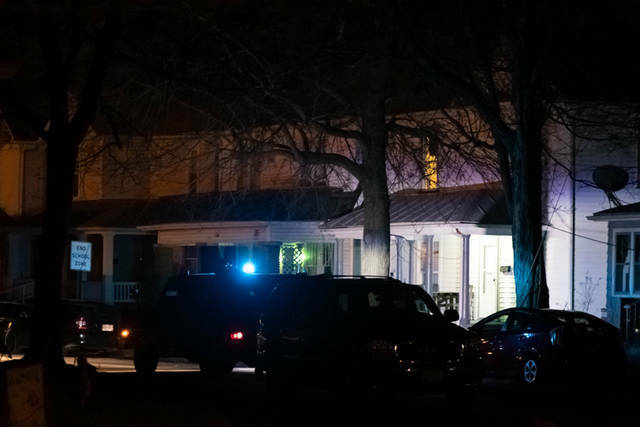 Green was charged with felonious assault in connection to last week’s shooting. Mariah Green, 22, of Greenville, also was arrested at the scene and charged with obstructing official business and resisting arrest, both first degree misdemeanors. Stephanie Green, 48, of Greenville, was arrested at the scene and charged with obstructing justice, a third degree felony. Additional charges are pending review by the Darke County Prosecutor’s Office. This entry was tagged arrest, Arrest warrant, Darke County Sheriff’s Department, Darke County Sheriff’s Department Emergency Response Team, Darke County Sheriff’s Office, Emergency Response Team, Greenville, Greenville Police Department, Indiana, Miami County Sheriff’s Department Emergency Response Team, Richmond, Search warrant, Shooting, Standoff, Tear gas, Warrant. Bookmark the permalink.